George Osborne has something to boast about during his budget update on Dec. 5. UK growth is up and the deficit is down. But the Chancellor of the Exchequer has engineered an all-too-British recovery, in which house price inflation will soon be too prominent. A radical policy shift is needed to build a genuinely sustainable revival. Britain’s fiscal picture has certainly improved. Growth this year will be at least double the 0.6 percent predicted by the government’s Office for Budget Responsibility back in March. The 2013/14 deficit could come down to 105 billion pounds, against 120 billion pounds forecast. But Osborne can’t afford to spend the windfall. Even the reduced deficit is close to a huge 7 percent of GDP. Other backdrops are troubling. The government’s Help to Buy mortgage indemnity scheme makes a re-run of housing boom and bust all the more likely. House building is disgracefully low – a social problem and a constraint on growth. For three decades from 1960 the UK built 298,000 homes a year. Since 2000, the figure is 180,000 and falling. It was 141,000 in 2010-12. It’s vital that Osborne acts to spur residential construction. A panoply of measures is required. Borrowing caps limit councils to just 2.8 billion pounds in debt. A 7 billion pound increase in this limit would fund construction of 75,000 new homes in five years, according to the Chartered Institute of Housing. It would also be affordable. 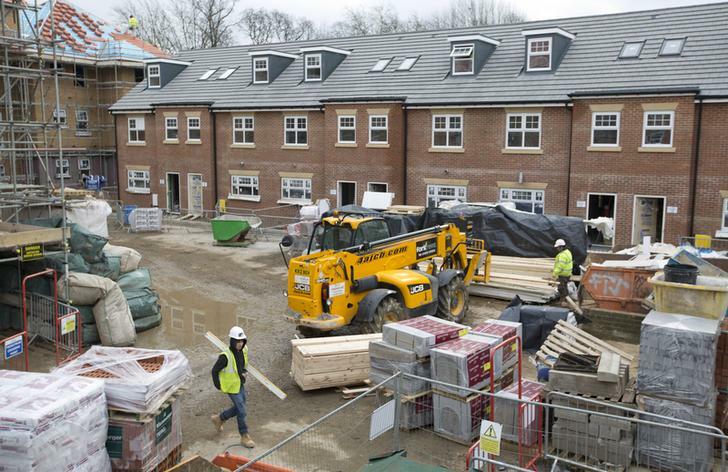 The government could make further bond guarantees available for housing associations. And after various tweaks, the planning system has yet to be meaningfully addressed. The government could sensibly raise funding for new homes from property crackdowns elsewhere. Landlords get tax relief on mortgage interest and claim a very high 7 billion pounds per year in tax allowances for expenses. Non-residents pay no capital gains tax, which helps turn property, occupied or not, into an easy investment vehicle for foreigners. Both perks are hard to justify. Help for Britain’s poorest should be another priority. Incomes are rising slowly, energy prices quickly. Osborne should avoid populist measures: levies on energy companies create uncertainty and are the sort of ad hoc measure that discourages business investment which is just beginning to show signs of recovery as growth strengthens and broadens. Fuel poverty could be alleviated with insulation for homes and selective welfare payments. An increase in the annual tax-free income threshold beyond 10,000 pounds would help those on low incomes. The UK is famous for its skill in finance. Yet its history is of speculative booms. Osborne’s challenge is to make finance work to create homes and stable growth rather than housing bubbles. That really would be something to boast about. Construction workers build a new residential property development in north London, March 21, 2013. George Osborne, Britain’s Chancellor of the Exchequer, is due to deliver his Autumn Statement on Dec. 5. The statement provides an update on the government’s plans for the economy based on its latest forecasts.